A brand new micro-controller computer, which is based on the classic Spectrum products from the 80’s, has been detailed. As befits a micro-console, the price is pretty cheap at £99, and comes with 1000 built-in games. For those of you wondering, it connects to your TV with an AV cable. You may remember that there was a Kickstarter for a new ZX Spectrumb machine that raised £155,612. 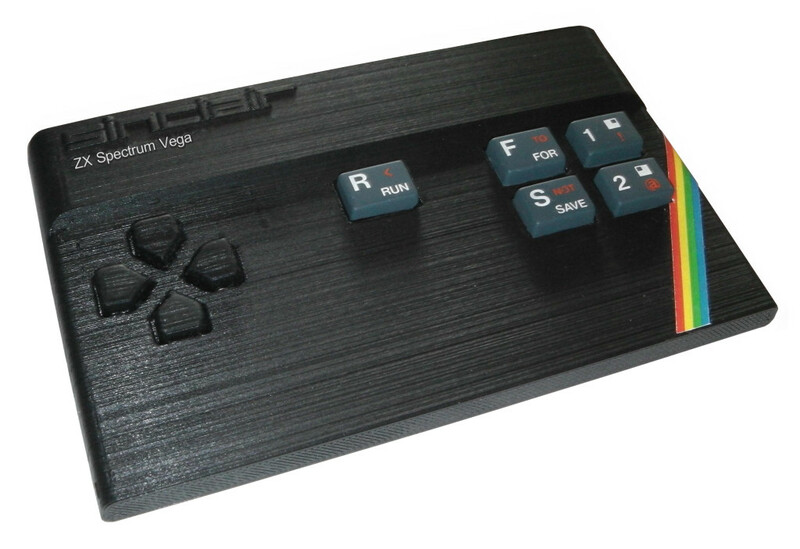 The ZX Spectrum Vega supports almost any Spectrum game, via MicroSD, as well as any games you may have programmed. Naturally, it comes with ready mapped buttons for all of it’s built-in games, or you can use the built-in virtual keyboard. Tagged with 2015, crowdfunding, kickstarter, microconsole, new spectrum, spectrum, zx spectrum vega.